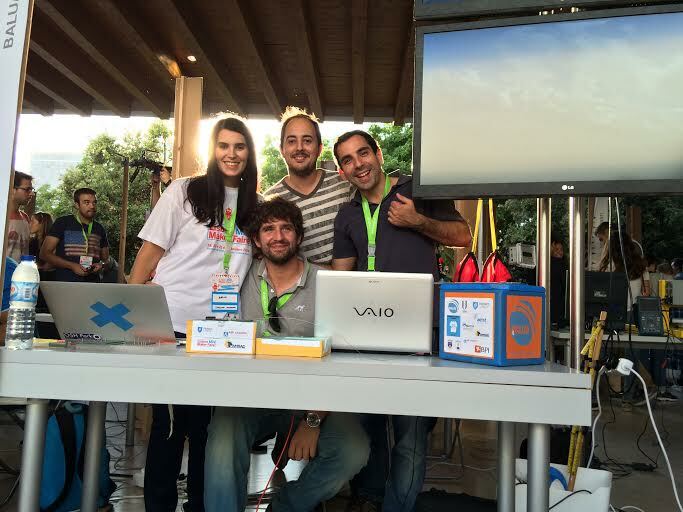 BALUA was present in MakerFaire Lisbon which occurred between 19 and 21 of September. In there we had stand to showcase and share our work with the public, and we also seized the opportunity and made an actual launch while there. 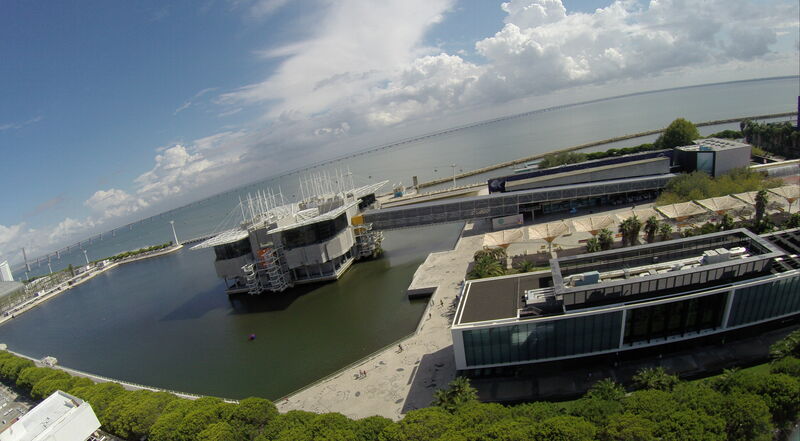 The launch was made in the rooftop of Pavilhão do Conhecimento at about 12.00am. Launch coordinates were: 38.762297, -9.095591. We broadcasted APRS (144.800MHz) with the callsign CS5CEP (thanks to AMRAD) which could be followed here. And the SPOT tracker link was this. Make a second and more complete test with our All-in-One Tracker. Test our new GPS Receiver PCB connected to the Kenwood D710 in order to have real time tracking of the heading and distance of the tracking van to the balloon. 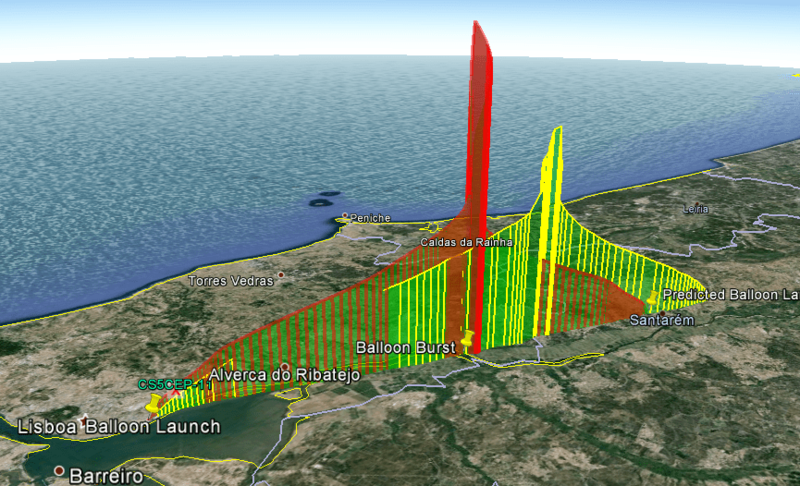 Showcase and explain to the general audience the procedures and the equipment required for making a HAB launch. 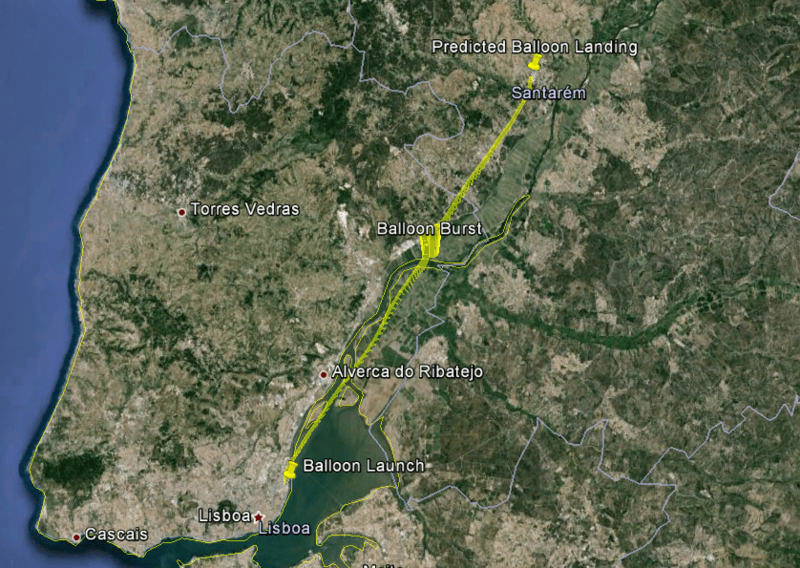 For this flight, we had the location defined and played with the balloon helium filling in order to make it land close to Lisbon (for easy recovery of the payload). 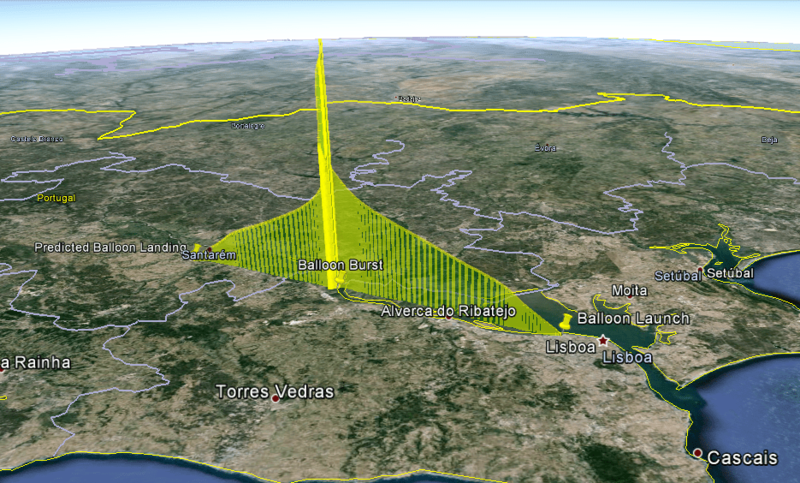 The following images are the predicted flight path. Prior to the launch, actually the day before, we took all the equipment to pavilhão do conhecimento and return to IST to prepare the rest of the equipment for the launch and for the stand. 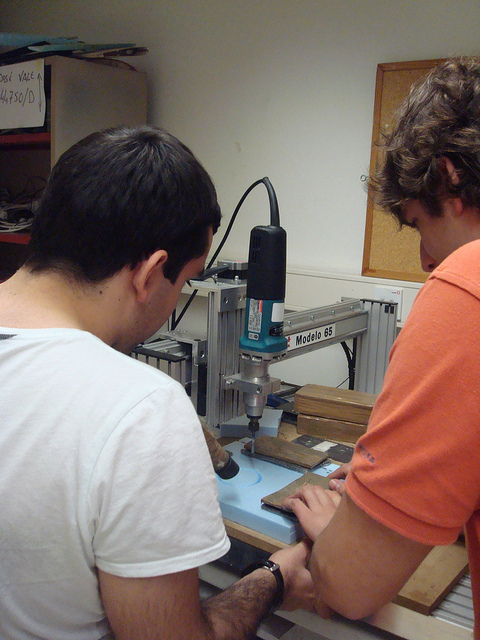 Mostly cutting a new box for the payload, preparing the camera and the tracking vehicle, etc..
We left IST early and went straight to the MakerFaire to set up the stand and prepare the launch which was set to 12am. Once on the rooftop o pavilhão atlântico we started laying everything down, filling the balloon, all the standard procedures that we already know like the back of our hands. Down there were a lot of people watching us preparing the launch and soon enough the balloon was airborne, everything congratulated us and we started preparing the chase. We went straight to Santarém and in there we waited for it to come. Meanwhile we were able to continuously receive APRS packages, SPOT, and even the VHF beacon correctly. Everything was working as it was supposed to, even the GPS receiver for the Kenwood D710 was giving us continuous and accurate projections of the balloon location. 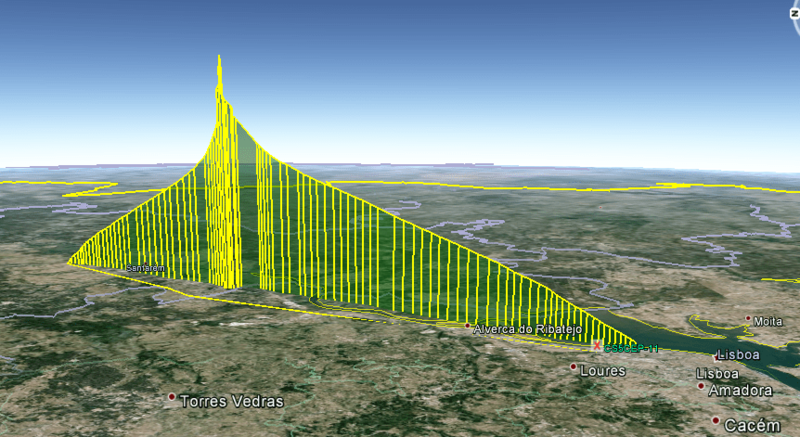 Having all the systems working we corrected our location based on the actual flight path of the balloon instead of the predicted and at about 2pm the balloon landed in a field close to a road. Everything was retrieved successfully and our new tracker behaved like a champion again. 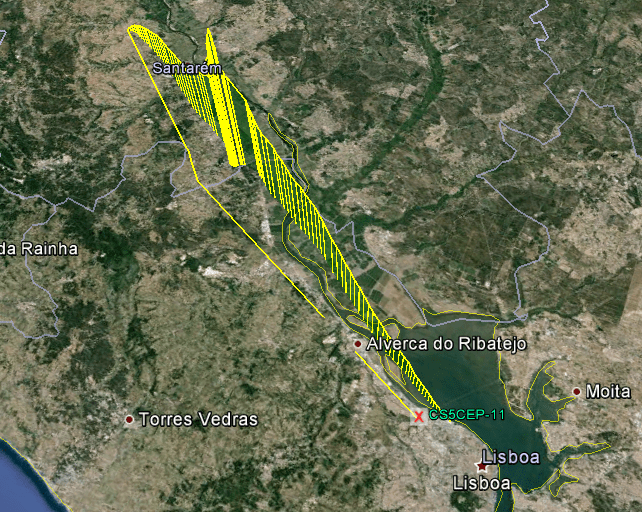 1º – Our new tracker worked flawlessly during the flight. 2º – The GPS receiver for the Kenwood D710 worked like charm giving us continuous directions of the heading and distance of the chasing van to the balloon. 3º – Balua’s payload landed in Santarém. The recovery was nice and easy. 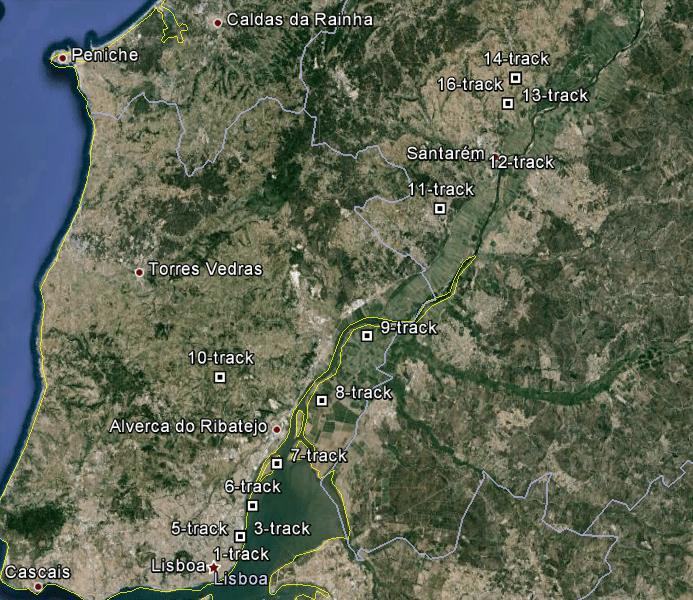 4º – The images and video obtained were amazing!!! 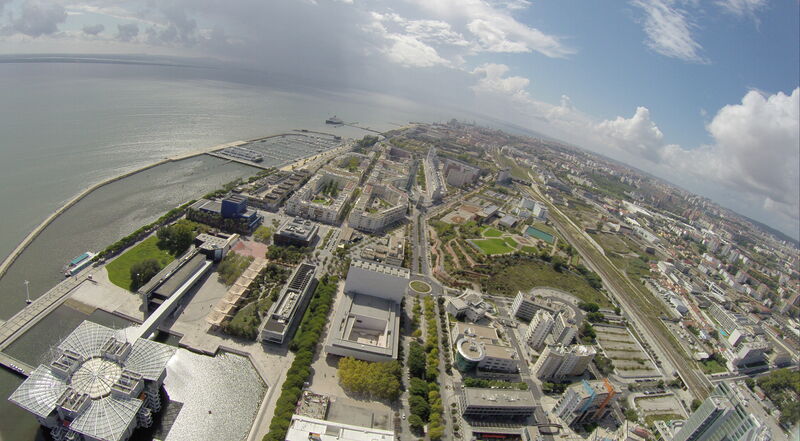 Lisbon from above is beautiful! 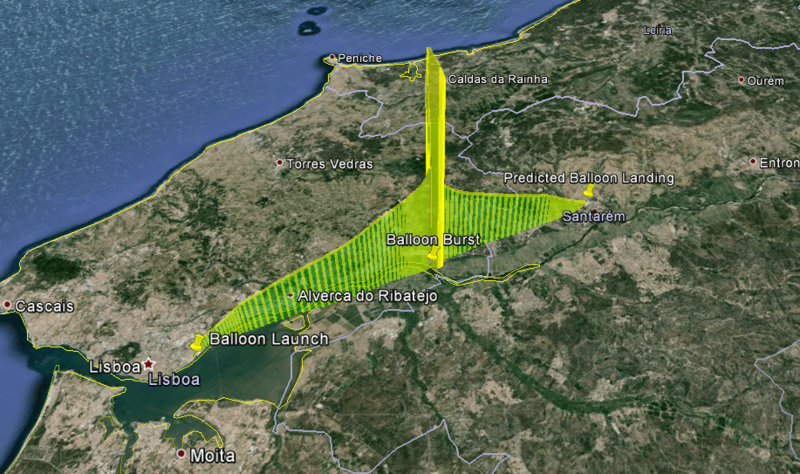 5º – Last but not least, the experience of launching this balloon with an audience of makers and interested people was amazing! As we can see in the images below, the tool was not as accurate as it was normally. We believe that the balloon ruptured before what was expected and because of that the path diverged a lot. However it still landed a few Km from what was expected. 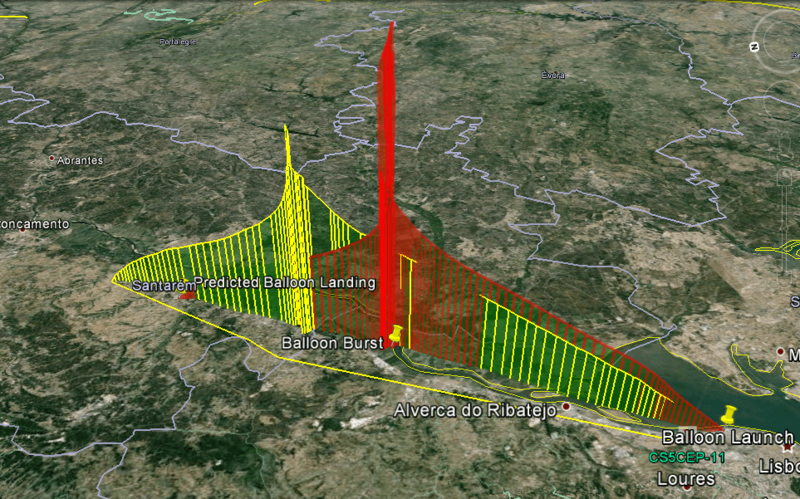 In red is the predicted and in yellow the real flight path.